With this growth and change, comes an evolution in the tools that are designed to support it. Some of the biggest changes have been seen our methods for keeping our different components functioning, and functioning well, for longer periods of time. Predictive maintenance is one such improvement – which works by using the techniques further outlined in this reading to intercept possible failures and to fix them in order to avoid downtime that would otherwise be caused by failure. This then results in less time spent out of work, less money spent on repairs, and less human effort in managing all of these assorted processes – which together have been demonstrated to cost industrial manufacturers $50 million each year. For more on predictive maintenance, you can check out our predictive maintenance blog post. Sensors have always been an important part of any maintenance plan because they allow us to monitor slight changes and make adjustments accordingly to prevent small issues from evolving into major problems. Having multiple different sensors monitoring different metrics can be key to getting a better understanding of your processes and preventing early failures and the resulting downtime they cause. Regardless of what kind of sensors your organization requires in order to be successful, there are a few best practices to keep in mind during implementation. Over time, the data gained from sensors can be used together with other key analytics to help craft strategies that include seemingly disparate operations. Ultimately, this deep and detailed level of knowledge will have far reaching impacts on the business felt well beyond the manufacturing floor. System components undergo normal wear, stress, and strain that are then indicated in its vibration and frequencies. Most components have a ‘normal’ frequency and deviation from this standard indicates conditions that may lead to failure if left untreated. Unexpected vibrations can be fatal to a machine. In the highly technical sport of Formula One, for example, Honda’s engines faced unexpected vibration issues. These issues were so severe that the engines would literally shake themselves to death, failing (often spectacularly) in the middle of a competition. Even if it is not Formula 1, vibration related failures will still cause downtime. Across practices in manufacturing and other industries, sensors feed information back to the systems connected to them. Fast Furrier Transform analyzers, for example, can detect minute vibrations that were previously undetectable. Once calibrated, a system will notice and record any unusual vibrations. Vibrations can occur due to any number of factors. A machine’s bearings or brackets might start to lose their tactile strength. A component may be nearing the end of its lifespan. Upon analysis, technicians (if needed) or learning machines will determine the appropriate course of action, and when possible, take it as needed. Ultrasonic leak detection that can be used further in advance than vibration or infrared. Infralogix has ultrasonic sensors that can detect sound waves beyond what the human ear can hear. This information can help technicians find vacuum seal failures, as well as air and gas leaks. Excessive heat is a death sentence for metals, composites and electronics. Excessive heat is a major threat to electric motors. Excessive heat is a primary maintenance concern for telecom companies. Dangerous working conditions and castrophic delays can occur due to something as simple as a poorly lubricated set of bearings. Thermal imagery utilizes infrared images to monitor temperatures of interacting machine parts – allowing any abnormalities to quickly become apparent. As with other change-sensitive monitors, they trigger scheduling systems which would then lead to the appropriate action being taken automatically in order to prevent component failure. Simple thermal imagery equipment is easy to get and easy to operate. In its simplest form, technicians can take mobile readings with a handheld device. There is no downtime required for a simple handheld thermal image scan. The positives to this sort of predictive system are simplicity and ease. The downside is that constant observation is likely impossible with a handheld device. A more sophisticated and accurate system would need diagnostic thermal tools with connectivity. Compared with baseline data, this equipment would show abnormal temperature ranges. These sensors would track the machines for potential deviations from acceptable temperatures. Once relayed, that information would alert technicians to any issues. This system would need greater capital investment and a technologically competent staff. Flir and its subsidiaries: Raymarine, Extech, Armasight. Oil analysis can determine many factors of your machine performance. Actual oil viscosity versus expected viscosity can show how your machine is preventing oxidation, dilution, moisture, etc. Metal shards in the oil can alert technicians to parts grinding that might slow or break a machine. Sensors that calculate fluid dynamics might help expose a leak or faulty connector. Oil analytics systems have been around for a while. Most modern cars have them integrated into the central computer system. Your car checking oil quality is a practical example of predictive maintenance. These systems are not difficult to integrate into existing machines. You should have guidance from your lubricant provider on acceptable temperatures, viscosity, etc. You could cross-reference your actual results against the expected results. Analytic systems are commonly designed to detect impurities in oil. Metal, dirt and sludge will be easily found. Moisture is easily detected, even in trace amounts. Your system will calculate any aspect of the oil which could cause failure. Industrial analytics is often considered to be an integral part of the ‘fourth industrial revolution’, which is characterized by the convergence between traditional industrial practices and modern IT improvements. These advances include data analytics and their related interpretation via machine learning, and also advances in connectivity through IoT. What this means practically speaking is that a greater number of decisions and actions are starting to become based much more deeply on measurable data that can be acted upon quickly. One important part of this field includes IoT sensors to monitor key changes in components. To meet an increasing demand for these technologies, a wide range of options are available to help industrial businesses find success – no matter the need or function. Monitoring tools work by utilizing advanced algorithms and machine learning in a way that enables them take action in real time. These activities in practice can lead to larger and more consolidated data sets that can support deeper analytics and better decision making. Additionally, other overall benefits can be felt throughout the supply chain and order fulfillment processes owing to a better understanding of the individual components that create the most essential parts of any profitable organization. 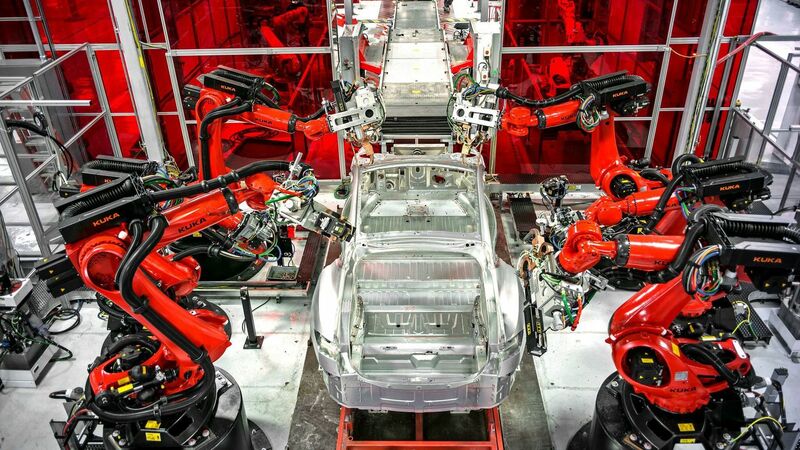 The internet of things (IOT) and Industry 4.0 make predictive maintenance possible. The sensors and analytics are one part of the equation, another part is the actual maintenance work. Software leaders like IBM, SAP and SAS create full range technology suites. These suites combine machine learning and the sensor data to compile maintenance plans. Remember that predictive maintenance is about monitoring equipment and acting only when necessary. Technology programs designed for industry are honing in on when, precisely, action is required. These available systems will automate much of the maintenance analysis. Your computer system will not be able to change parts, but it will be able to alert technicians of a pending issue. The programs will not create maintenance schedules, but rather, proactive behavior when a component faces the end of its life cycle. Even better, these systems can request maintenance long before a machine faces failure. 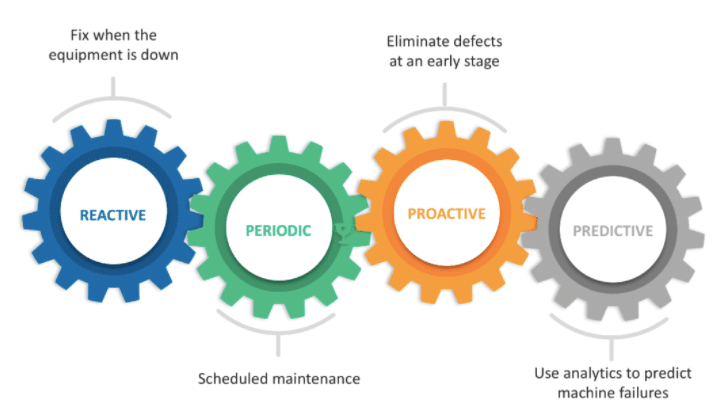 When a machine starts to decrease in productivity or output, proactive maintenance can occur. These modern versions of a traditional solution work by automating much of the maintenance analysis traditionally managed by a person. This person, who previously would have analyzed multiple inputs, ongoing processes, and other relevant factors needed for building an effective maintenance schedule, can then focus their energies on the results of any changes or adjustments that were made. By having a scheduling solution take over this analysis, the time and resource requirement needed to take into account all factors drops exponentially. As this scheduling takes place without human intervention, it is important not to forget the ‘people’ aspect of any schedule in terms of general knowledge surrounding an operation, like in the case with a customer that is considered to be ‘high priority’ unexpectedly by a computer’s standards. For manufacturers and other industrial organizations, finding the best way to minimize waste and inefficiency can have a major impact on the bottom line of your business. When working together correctly, these tools act in a complementary manner – enabling the success of one to aid in the success of another. However, any decision made with regards to predictive maintenance should include inputs from employees and other relevant parties throughout the business to ensure that the functionalities required are the ones that are obtained. 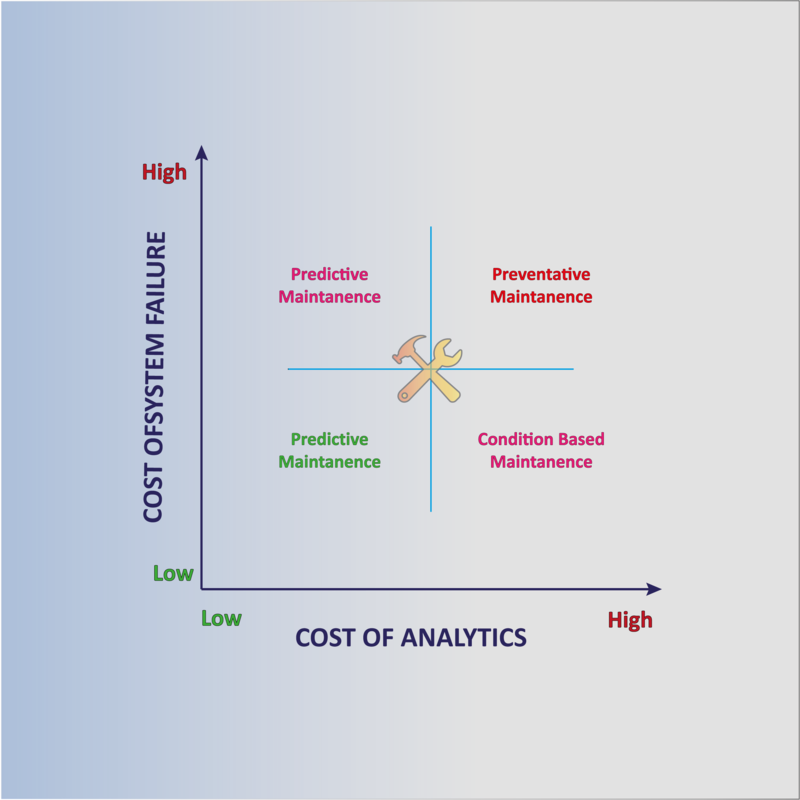 Predictive maintenance is always an interesting topic to read and discuss and today we have advanced data analytics to analyze when, where and how things will break. Having said that, innovators are coming up with damn good e-maintenance system integrated advanced techniques for diagnosis. machine downtime tracking tools like Thrive are providing real-time data and reporting, that is eventually helping in decision making.